Unfortunately, sometimes people grow apart, and separation or divorce becomes up for discussion. When relationships fall apart, it can be desirable to discuss separation as smoothly and easily as possible. This can be tricky when feelings are involved. Sometimes having a third party helping to guide you through this process can make it as constructive and painless as possible. 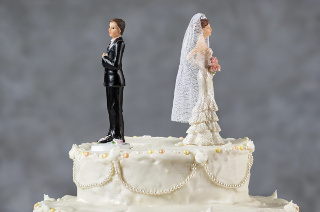 Feel unsure about whether or not you are ready to separate from your partner? Want to separate from your partner but don’t know how to have this conversation with them? Know you want to separate romantically, but feel unsure about how to go about it in order to preserve what you still have friendship-wise? Want to make the transition as smooth as possible, and maintain a healthy working relationship for the sake of your kids? Anticipate having trouble negotiating for things that you want during the separation? Make the transition as smooth as possible. Whether or not you are still on the fence, discussing the topic of breaking up can be difficult. When emotions are running high, judgments can be cloudy. It’s important not to make any rash decisions just to “get it over with”… snap judgments that you may later regret. Booking an appointment can help you to sort out how you really feel and what you really want, in a safe and supportive environment. That way you’ll be able to look back at this difficult time in your life, and know that you took the necessary steps to make a careful, planned decision, that was in your best interest, and that reflects the decision you know deep down is the best one for you to make.